Show these powerful economics videos in class. Your students will never forget. Our 290+ broadcast quality, professionally produced short videos and animations capture a student's imagination and let economics teachers unleash their innovative spirit in class. Students happily grasp key concepts in class or on the go. Students will thank you for assigning engaging video that they can also watch on their phones. Students can watch these short economics videos and animations anywhere, anytime. Profs watch their students get better grades. Beautifully presented short animations concentrate on the key economics concepts letting students achieve that aha moment. Profs can de-stress, relax, and monitor their students' progress on your school's LMS or on Top Hat. In both our Top Hat and SCORM versions, interactive questions follow each selected video, which makes it easy for profs to follow student progress and adjust teaching accordingly. Use the analytics to measure and respond to class progress. Econblox videos are easy to show in class using the Top Hat phone app. Just click and play your select videos. 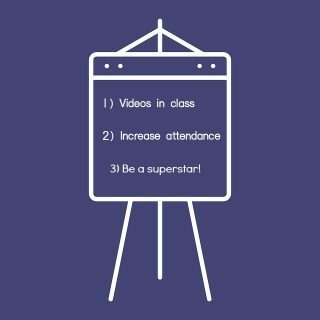 Professors can also easily and accurately measure and track attendance. Students notice, attend more, and get better grades! This Opportunity Cost in International Trade lecture videos is four and a half minutes in length and was shot in Michigan's Upper Peninsula. The featured instructor is a lecturer at Northern Michigan University. This Natural Monopoly key concept video is 37 seconds in length and was produced in Montreal. All videos are closed captioned. What courses do the economics videos cover? "I still get higher attendance for those weekly classes, over 60 percent, which far exceeds what the average lecturers get in their courses. I think it's because students like the vibe. And for me, it makes teaching fun again." See what 10 other Top Hat instructors say. These are the only professional economics videos built to easily play during a lecture. Cut through lecture clutter and grab student attention. Just drag and drop the videos into your slides. Profs save time in class. All the animations are distilled into just the essentials. Use the interactive multiple choice questions to check student understanding in real time. Closed captioning addresses hearing-impaired students' needs in class. Present these economics videos in your class and on mobile devices. Your students will never forget! If you're not quite ready to show these great videos in class, show them on your website. It's easy. We just drag and drop the files onto your site. The videos are beautifully embedded in SCORM files so your students can get better grades, using any device! Give the students the tools they need to succeed! You're in control when you simply drop these files onto your school's portal or learning management system. Students easily move through the content and will love what you have done for them! Track their progress to make sure they don't fall behind. Don't waste your time repeating the basics. Let students and TAs harness the power of interactive video learning. They'll thank you! Bonus: Use OpenStax Textbooks - FREE! Why should students pay $200 for a textbook when world-class textbooks are free? OpenStax also supplies professors with a ton of instructor aids, including powerpoints.